The BT Diverse 7460 cordless phone is a unique model in the range as it has both a phone on the base as well as the cordless handset. This means when the BT Diverse 7460 cordless phone is purchased the user is getting two phones in one. As you can probably tell from the picture the controls on the base of the BT Diverse 7460 are pretty straight forward. As well as the full number keypad and the answer and release keys the 7460 base even has its own LCD screen. On the side of the base is a small SIM card slot so users can copy their phone numbers to the BT Diverse 7460 phone. This can save a lot of time especially as there is room for up to 200 entries on the phone. These can also be copied over to other handsets if more are added to the Diverse 7460 at a later date. 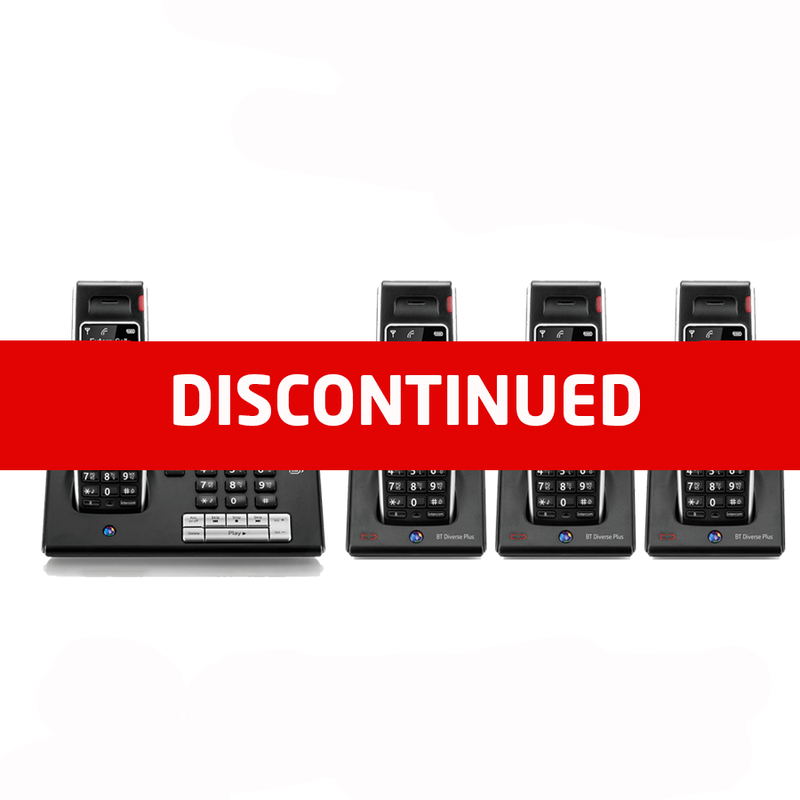 In total up to 5 handsets can be registered to the BT Diverse 7460 cordless phone. The compatible models are the BT Diverse 7400 and the robust option the BT Diverse 7200. Each of the phones then have the ability to ring each other internally and transfer calls between them. Also built into the BT Diverse 7460 cordless phone is a digital answering machine to take messages. There is up to 27 minutes of recording time and users can also pre record there own answering message as well. The message indicator will show if there are messages that need to be played, and all the controls are clearly marked on the BT Diverse 7460 base. As well as a handsfree speaker phone the BT Diverse 7460 cordless phone also has a headset socket too. Other facilities such as a built in clock and alarm are useful and the BT Diverse 7460 is also caller display compatible too. The LCD screens are also very easy to read as they are black with white characters. The BT Diverse 7460 is not only a very stylish phone it is a very useful one as well.